We study the problem of finding all Pareto-optimal solutions in a multi-criteria setting of the shortest path problem in time-dependent graphs. This has important applications in timetable information systems for train schedules. 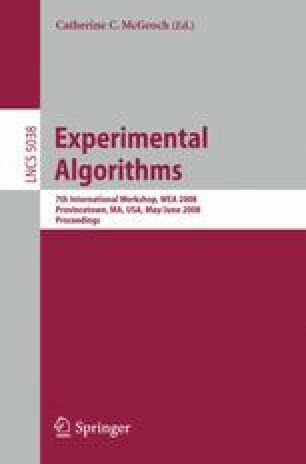 We present a new prototype to solve this problem in a fully realistic scenario based on a multi-criteria generalization of Dijkstra’s algorithm. As optimization criteria we use travel time and number of train changes, as well as a new criterion “reliability of transfers”. The performance of the prototype and various speed-up techniques are analyzed experimentally on a large set of real test instances. In comparison with a base-line implementation, our prototype achieves significant speed-up factors of 20 with respect to the number of label creations and of 138 with respect to label insertions into the priority queue. We also compare our prototype with a time-expanded graph model.